We have demonstrated our technical competence in manufacturing premium quality boring lathe machines. 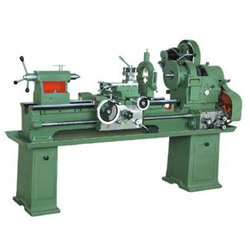 Adhering to industry specific standards, these lathe machines are largely used in varied industries. Our globally acclaimed lathe machines are dimensionally precise and efficiently meet the functional needs of clients. we are equipped with precision lathe machines for primary operation in developing quality diamond tools.